For you aesthetic-treatment junkie, the name Miracle Clinic should be familiar to your ears. 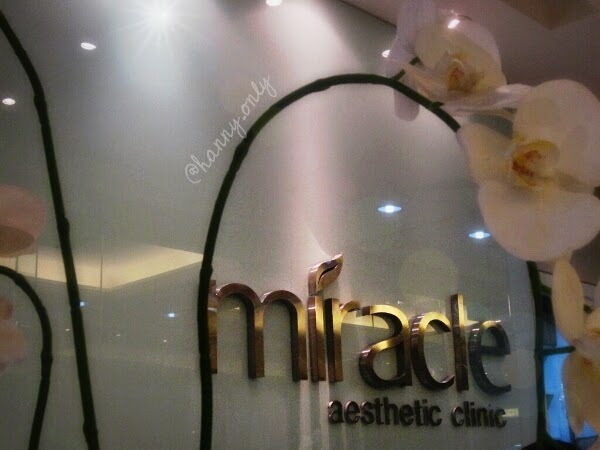 With more than 17 years of experience and 18 branches in few large cities in Indonesia, Miracle Clinic really does know what it takes to make you look better, skin-wise. We could always hide our imperfections with makeup, but what if we could look perfect bare faced instead? Isn't it tempting? And, hey, you do know makeup is stay longer and look more yummy on healthy skin, rite? So, the base is important. With healthy skin, your makeup spend will worth every penny. 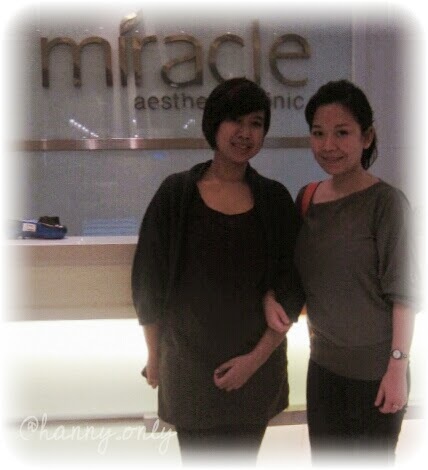 I was very fortunate to be able to experience a first class treatment at Miracle Clinic Mall Taman Anggrek (second floor). And there she was, ms. Beatrix, the PR of this clinic, greeted me with her cheerful smile (i love happy face, it always made my day). And while waiting for my turn, she kindly explain to me briefly all there is about Miracle Clinic and all the treatments they have. Before the treatment start, we will be asked to fill the form with our personal data and our skin problem. Then we went to see the doctor for full analysis, to see the real condition of our and which treatment that's suitable to our skin type. 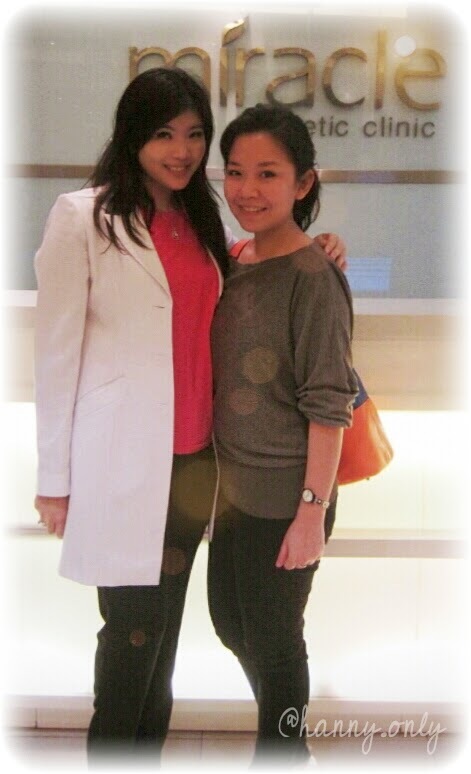 Meet my doctor, Jill. I liked her. She's pretty straight to the point, so no fuss and muss. For me honestly is everything. She told me that my skin is dull, lots of blackheads and small freckles. From her expression, she was pretty concerned. Umm, well, after baby, i honestly very lazy to put even moisturiser on my face. Bad me! Basically, my skin urgently in need for some help. 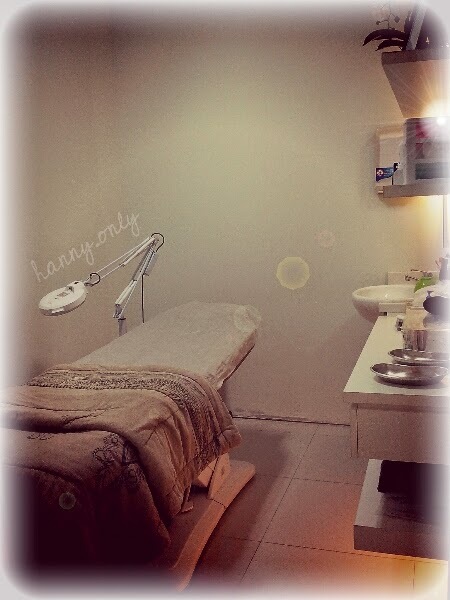 Ok, before we start, here's the look on my treatment room. So cozy and private. Love it. Another thing that i consider great is their way of making sure that all the customer is save by having this Miracle Sterilization Program. 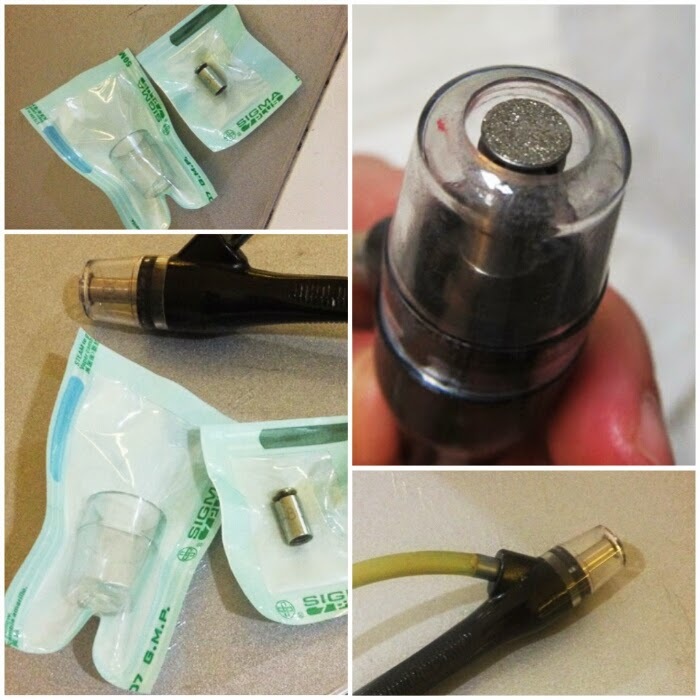 So all the hard tools are sterilized using autoclave (use for medical tools sterilization). Meanwhile, the helping tools such as sponges, bed sheets, clothes, gloves, needles etc are all disposable. Those are prevention, to protect us from any infections such as hepatitis or HIV/AIDS. What a relieve. 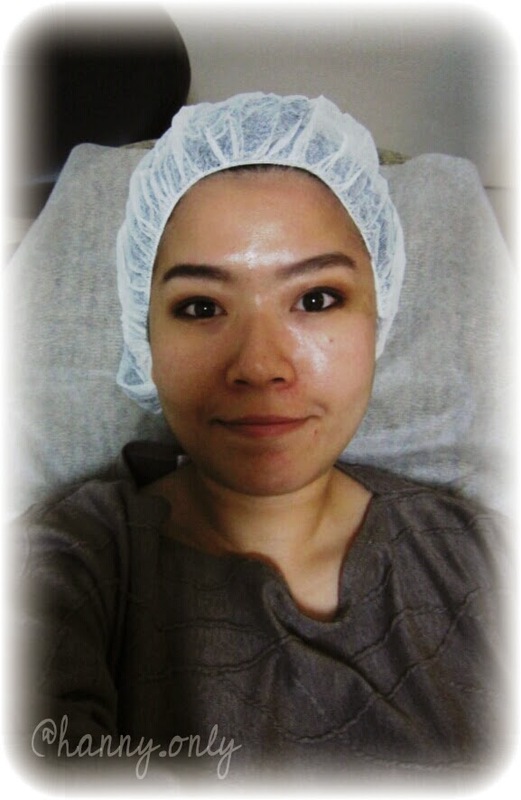 Move on, now it's time for my treatment, the Miracle Diamond Peel Plus. It's the treatment that combine microdermabrasion which needed to peel off our dead skin cell using a diamond tips and dermal infusion to infused certain solution as needed (depends on our skin condition). 1. Dry skin and face lines. 3. Acne and acne scars. Ok, those are my problems for sure! 1. Got my face cleaned out properly. They only use special imported products that can be achieved by doctors' prescriptions only. This ensures that our skin are under a straight medical control to prevent any substance abuse or other unwanted self-medicating side effects. Then they took a before pic for documentation. 2. The diamond peel process begun by moving the diamond tip on my entire face. The Diamond Peel Plus Machine. 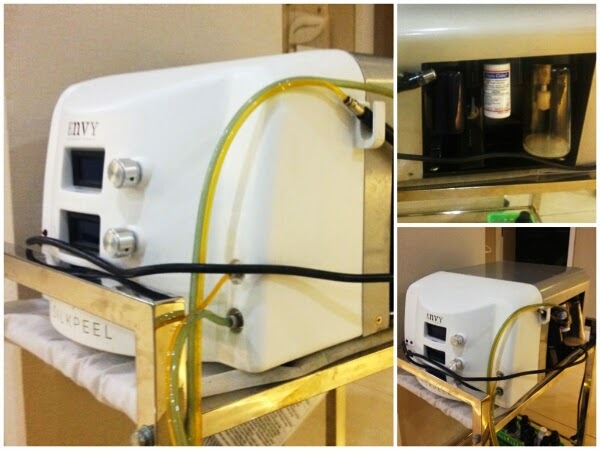 On the inside of the machine there's a glass container to contain all of our skin residue that should be occured during the suction procedure, while a little white bottle there is the face solution that will be infused at the same time. Those are connected into two elastic pipes for distribution purposes. As you can see the tip is sterilized entirely like a surgeon's tool. Hygiene is clearly number one here. The pic on the top right is courtesy of Mei Pygmalionland!! So delicate. I didn't feel any pain whatsoever. It's even save for eyelids and lips area. 3. After all done, dr. Jill put a cream on my face. It's not sticky at all and absorbed right away. Leave my skin soft, supple and brighter. My first impression was, my face feel so light, soft and bright. With no redness at all. 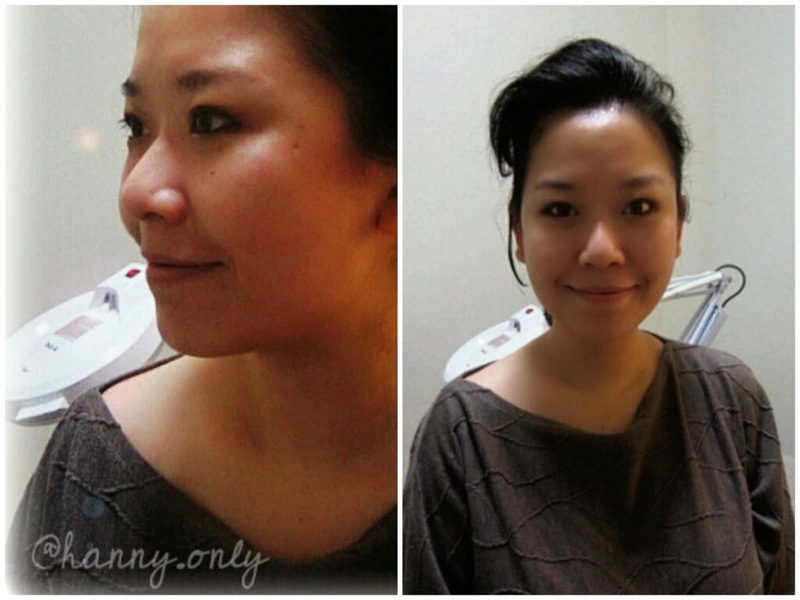 I didn't feel any drastic changes on my pores, but dr. Jill already told me at the first place that i need extra facial treatment to remove all the pores' blockage to get a maximum result. Will do the facial later and posted to you guys. The other thing i love about this treatment is, the process took only 10-15 minutes. For busy people, that should be a plus. Instant time but fabulous result. The Miracle Diamond Peel Plus is the most wanted treatment here in Miracle Clinic. Because of the delicate procedure with non-redness result, many women came here to get treatment before their special occasion (wedding, parties, formal events) then they put makeup on, the end result would be extra flawless, long lasting and they will look brighter all day long. 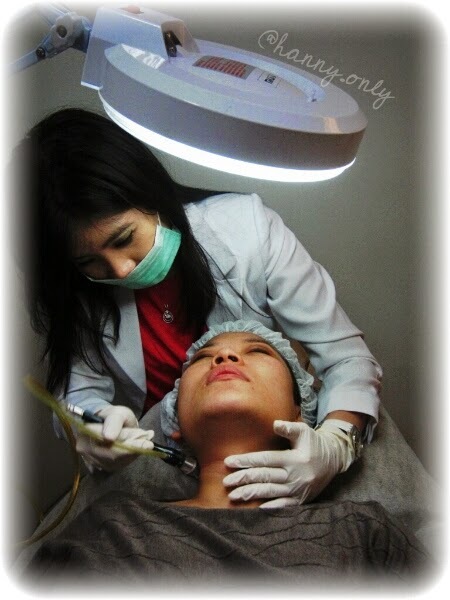 It'll cost you around IDR 800.000-ish, and you should repeat the treatment once a month for maximum result. Here's my residue from the suction. Dr. Jill sez that if i do the treatment frequently, the water could be as clear as mineral water. Amen to that! Ok, that's for today. Thank you so much Miracle Clinic for such an amazing opportunity. Cannot wait to try another fabulous treatments! Kudos for the great concept and wonderful service.